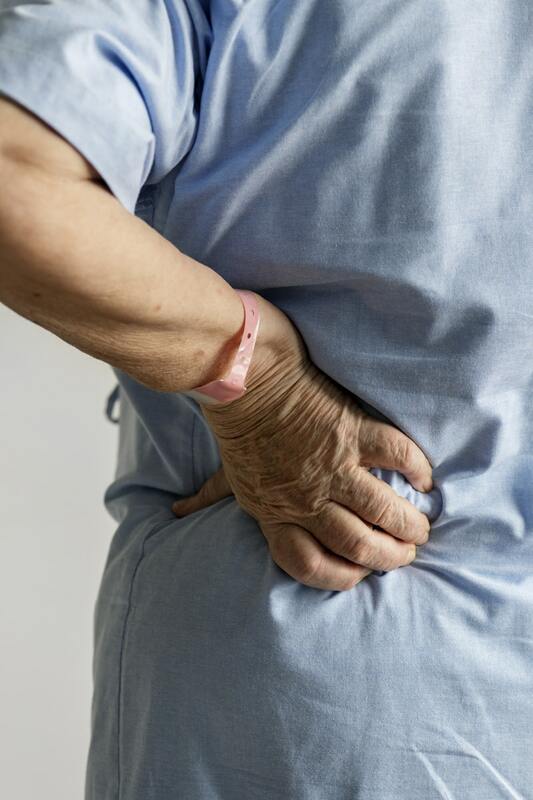 Low back pain is the most common cause of missed time from work— it affects up to 80% of adults in the US at some point and can be completely incapacitating. Many factors contribute to back pain including muscular injury, postural irregularities, obesity, problems with the spinal column and discs, and nerve problems. In some cases, no one culprit becomes evident– termed non-specific chronic low back pain. Despite its prevalence, low back pain remains a frustrating malady to treat. Fortunately, for many people, massage can help ease low back pain. Although research has only just begun to support the efficacy of massage, the evidence that exists suggests both relaxation and therapeutic massage can reduce low back pain. In fact, recent medical guidelines list massage as a go-to therapy for low back pain. The team at Nimbus has helped countless people with their low back pain over the years. If muscular tension or injury has led to the pain, many people find relief in a few short sessions. For underlying factors that will not go away (arthritis, scoliosis, etc…) many manage their pain with ongoing treatments. Here is a list of some causes of back pain and some observations from the Nimbus staff about how massage may or may not help. – Muscular pain with recent onset. – Nerve entrapment (by a muscle) with recent onset– including sciatica. – Recent injury, sprain, or strain. – Nerve entrapment (by a muscle) that has been on-going– including sciatica. – Past injury, sprain, or strain. – Pain from postural or repetitive motion stress. – Non-specific low back pain. – Arthritis including Osteoarthritis, Rheumatoid Arthritis, Osteoporosis, Ankylosing Spondylitis, and Spinal Stenosis. – Degenerative or other disc diseases. – Nerve impingement (by bone)– including sciatica. – As always, talk to your healthcare provider about your condition, and seek medical help for distressing, severe, or chronic pain. As with any complex condition, the treatment plan your massage therapist would suggest for your particular case will vary. The therapist will ask many questions concerning your pain, overall health, and history of massage and then discuss a plan with you. In some cases, the therapist may recommend a flowing massage using techniques to elicit relaxation and calm stress. A Massage for Stress & Anxiety can help back pain, and is a good fit for people who do not like structural massage. In other cases the therapist may recommend a more structural approach. If the pain just started recently, this would fall under the Massage for Pain Relief category. For pain that has lasted more than three months, the Massage for Chronic Pain would be appropriate. In either of these cases, the therapist may employ firm pressure to tender muscles; vigorous strokes to loosen stuck muscle fibers; sustained moderate pressure to ease taut areas; stretching and movement to move a nerve or muscle; and many more techniques. Depending on what you list as your symptoms, the therapist may check muscles in areas other than your low back including your legs, buttocks, and abdomen. You can also take steps to ease your pain at home. The American College of Physicians recently came out with a list of recommended approaches to easing back pain. Some examples of therapies you can use at home include the following. Apply heat, especially moist heat, like one of our Mother Earth Pillows or a soak. Engage in exercise, tai chi, or yoga. Try mindfulness techniques or progressive relaxation. You can also do self-massage at home with your hands or a gadget such as a trigger point tool or foam roller. If low back pain hampers your daily living, massage and a good home care program, could help you get your pain under control, naturally.